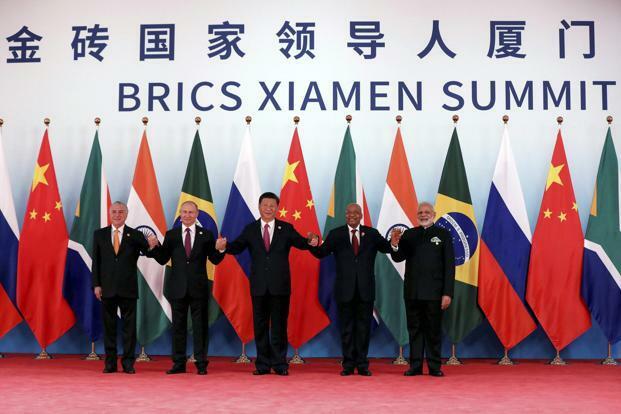 9th BRICS summit was recently held in Xiamen, China. This is the second time the China has hosted the summit after the 2011 summit. At the end of the summit, Xiamen declaration was adopted by the leaders of the five countries. BRICS countries will strive towards broad partnerships with emerging markets and developing countries, and pursue equal-footed and flexible practices and initiatives for dialogue and cooperation with non-BRICS countries, including through BRICS Plus cooperation. BRICS countries have resolved to promote the development of BRICS local currency bond markets and to jointly establish a BRICS local currency bond fund and also to facilitate financial market integration. They will also encourage explorations toward the establishment of the BRICS Institute of Future Networks. Besides, partner countries will enhance joint BRICS research, development and innovation in information and communications technology, including the internet of things, cloud computing, big data, data analytics, nanotechnology, artificial intelligence, 5G and their innovative applications. They have also committed to strengthen BRICS cooperation on energy and work to foster open, flexible and transparent markets for energy commodities and technologies. BRICS Agriculture Research Platform is proposed to be established in India. They also called upon the international community to establish a genuinely broad counterterrorism coalition and support the UN’s central coordinating role in this regard. Importance of people-to-people exchanges in promoting development and enhancing mutual understanding, friendship and cooperation among BRICS peoples was also emphasized. Countries also resolved to work together to promote most effective use of fossil fuels and wider use of gas, hydro and nuclear power, which will contribute to the move towards a low emission economy, better energy access and sustainable development. India and Nepal have begun their joint military exercise in Nepal. This is the 12th edition of Nepal-India joint military exercise. The exercise – Surya Kiran –is being participated by around 300 troops each side. The battalion-level joint training between the two armies will focus on counter-terror operations in mountainous terrain by facilitating interoperability. Disaster management and joint operations for disaster relief will also be a part of the exercise. The 11th edition of the joint exercise was held in Pithoragarh in Uttarakhand. The Surya Kiran series of Exercises are being conducted annually, alternatively in Nepal and India. 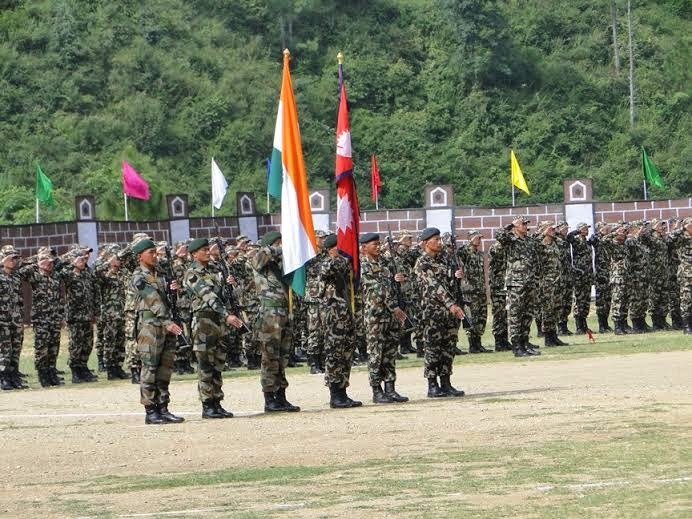 Notably in the series of military training exercises undertaken by India with various countries, Surya Kiran series with Nepal is the largest in terms of troop’s participation. The aim of this exercise is to conduct battalion level joint training with emphasis on Counter Terrorism in mountainous terrain. Aspects of Disaster Management have also been included in the exercise. The Joint Battalion Level Exercise will enhance defence co-operation and relations between the two nations. It is an ideal platform for the contingent of both nations to share their experience and gain mutually. The Exercise will be yet another step towards taking traditional friendship between the two nations to greater heights. The Central Board of Direct Taxes (CBDT) has entered into 4 more Advance Pricing Agreements (APAs) during August, 2017. Out of these 4 Agreements, 3 are Unilateral and 1 is a Bilateral. With the signing of these 4 Agreements, the total number of APAs entered into by CBDT has reached 175. This includes 162 Unilateral APAs and 13 Bilateral APAs. In the current financial year, a total of 23 APAs (2 Bilateral and 21 Unilateral) have been signed till date. The 4 APAs entered into during August, 2017 pertain to various sectors of the economy like Telecom, Banking, Manufacturing and Education. The APA provisions were introduced in the Income-tax Act in 2012 and the “Rollback” provisions were introduced in 2014. 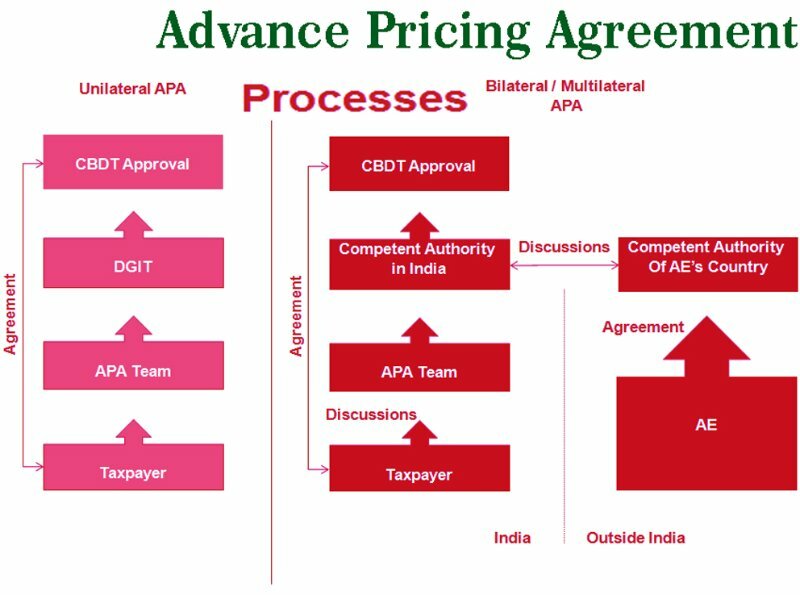 The APA scheme endeavours to provide certainty to taxpayers in the domain of transfer pricing by specifying the methods of pricing and setting the prices of international transactions in advance. Since its inception, the APA scheme has been well-accepted by taxpayers and that has resulted in more than 800 applications (both Unilateral and Bilateral) being filed so far in five years. After adding the State Bank of India and private lender ICICI, the Reserve Bank of India has listed HDFC to systemically important banks list. The addition means that HDFC has now being considered as too big to fail bank. Since 2015, the central bank has been identifying banks whose failure would impact the whole financial system. These banks are subject to more rigorous regulation and capital requirement. A few banks assume systemic importance due to their size, cross-jurisdictional activities, complexity, lack of substitutability and interconnectedness. The disorderly failure of these banks has the propensity to cause significant disruption to the essential services provided by the banking system, and in turn, to the overall economic activity. These banks are considered Systemically Important Banks (SIBs) as their continued functioning is critical for the uninterrupted availability of essential banking services to the real economy. SIBs are perceived as ones that are ‘Too Big To Fail (TBTF)’. This perception of TBTF creates an expectation of government support for these banks at the time of distress. Due to this perception, these banks enjoy certain advantages in the funding markets. The indicators the RBI uses for identifying Domestic-SIBs are: size, interconnectedness, substitutability and complexity. Based on the sample of banks chosen for computation of their systemic importance, a relative composite systemic importance score of the banks is computed. The RBI will determine a cut-off score beyond which banks will be considered as D-SIBs. D-SIBs are subjected to differentiated supervisory requirements and higher intensity of supervision based on the risks they pose to the financial system. The President of India, Shri Ram Nath Kovind recently laid the foundation stone of ‘Saurashtra Narmada Avataran Irrigation Yojana’ (SAUNI) Phase-II Link-4 in Rajkot, Gujarat. What is the SAUNI Yojna? SAUNI stands for Saurashtra Narmada Avtaran Irrigation, a project launched in September 2012. 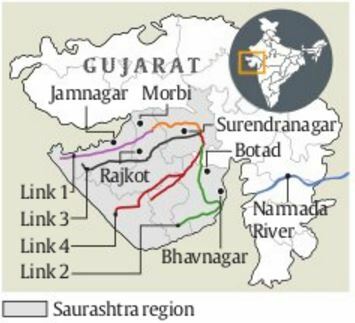 SAUNI envisages filling 115 major dams of the arid Saurashtra region by diverting floodwaters overflowing from the Sardar Sarovar Dam across the Narmada in south Gujarat. It involves laying a 1,125-km network of pipelines at a cost of Rs 12,166 crore to carry Narmada water to these dams, and irrigate 4.13 lakh hectares (ha) land. Parts of Saurashtra are prone to drought, and irrigation water is also a politically sensitive issue in this region. Unlike traditional irrigation projects, SAUNI is technically a ‘linking’ project, where the water will be filled in irrigation dams that are already equipped with canal network. This network of canals will then help channel water into farms. Also, SAUNI project involves making pipe canals instead of the conventional open canals. The pipelines in the SAUNI project are underground, which means that no land needs to be acquired. GIs are of utmost importance to the country as they are an integral part of India’s rich culture and collective intellectual heritage. The promotion of GIs is in line with the Government’s ‘Make in India’ campaign. It’s an area of strength and optimism for India, whereby the GI tag has accorded protection to a number of hand-made and manufactured products, especially in the informal sector. Certain GI products can benefit the rural economy in remote areas, by supplementing the incomes of artisans, farmers, weavers and craftsmen. Our rural artisans possess unique skills and knowledge of traditional practices and methods, passed down from generation to generation, which need to be protected and promoted. Cell for IPR Promotion and Management (CIPAM) has been created as a professional body under the aegis of DIPP to take forward the implementation of the National IPR Policy that was approved by the Government in May 2016, with the slogan – “Creative India; Innovative India”. CIPAM is working towards creating public awareness about IPRs in the country, promoting the filing of IPRs through facilitation, providing inventors with a platform to commercialize their IP assets and coordinating the implementation of the National IPR Policy in collaboration with Government Ministries/Departments and other stakeholders. The Indian Computer Emergency Response Team (CERT-In) has issued an alert about spread of a new malicious software ‘Locky’, which is being circulated through spam messages that can potentially lock computers and demand ransom for restoring access to users. Locky Ransomware is learnt to be demanding ransom of half bitcoin, which at present rate is equivalent to over Rs 1.5 lakh. To target users spam e-mails showing links to fake websites is being used to spread Locky variants. While the impact of this ransomware on Indian systems is not clear so far, this could be the third major ransomware attack this year after Wannacry and Petya that crippled thousands of computers, including those of multinational corporations. In fact, according to an Assocham PWC study, India was the third worst affected country in a list of over 100 countries hit by Wannacry in May. CERT-In (the Indian Computer Emergency Response Team) is a government-mandated information technology (IT) security organization. CERT-In was created by the Indian Department of Information Technology in 2004 and operates under the auspices of that department. The purpose of CERT-In is to respond to computer security incidents, report on vulnerabilities and promote effective IT security practices throughout the country. According to the provisions of the Information Technology Amendment Act 2008, CERT-In is responsible for overseeing administration of the Act. Next story Insights MINDMAPS:”Shell Companies in India” and “Sri Lanka’s Hambantota Port”.